"I don't know where [Obama is from]. I don't think he's from where they issue birth certificates. I think he's from hell." This week, Glenn Beck uses the ongoing witch hunt over Benghazi and it's aftermath and the scandal of the IRS allegedly targeting conservative groups for review of their 501 (c) 4 applications to -- again -- call for the President's impeachment. Following then, are two narratives: the first is a fourteen and a half minute monologue by Mr. Beck from his radio show on May 13th and the second is a fifteen + minute detailed coverage of the IRS scandal by Chris Hayes and guests on his show, All In. Two narratives; one truth. Former Secretary of Defense Robert Gates told CBS News that Republican lawmakers who are blasting President Barack Obama's administration for failing to take military action during last September's surprise attacks in Benghazi have a "cartoonish" view of the military. "I listened to the testimony of [Secretary of Defense Leon Panetta] and [Joint Chiefs of Staff Chairman Martin Dempsey]," Gates explained to CBS host Bob Schieffer in an interview that aired on Sunday. "And, frankly, had I been in the job at the time, I think my decisions would have been just as theirs were." And there's more. Drones were not "in the air" until the next morning after the attack. The reason the media doesn't consider Beck "one of theirs" is because news organizations try to get the facts correct. Glenn Beck? Not so much. Beck does not grasp the distinction between a newscast and a program of propaganda. In this monologue Beck doesn't even mention the most effective person behind the effort to get him off of Fox: Angelo Carosone and his effort to StopBeck. No one needed to "smear" Mr. Beck. That was his job, and that is why he was targeted, specifically after Beck smeared President Obama as a "racist." No one who lies as much as Glenn Beck has credibility, so he is under an amazingly effect delusion of his own "righteousness." Also, this Review has called for Obama's impeachment over the killing of an American without due process, but there's no effort to "destroy" this blogger. 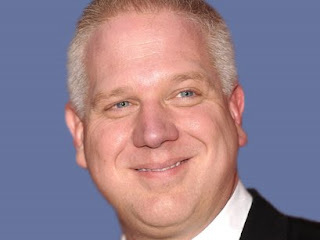 Beck typically states "facts" that have no correspondence to reality, especially with regard to the Obama White House. Beck understands why the boycott of advertisers for his Fox show was organized; he just doesn't care to admit to any responsibility for his hateful rhetoric, his racism, his vitriol and his deceitful propaganda. Here's the GRAND LIE Beck conveys at the 11:07 minute mark. The lie stems from Friday, April 19th when Beck said, "when America knows the full story on this [Saudi student, Abdul Rahman Ali Alharbi] if she doesn't stand up, and quite honestly and demand impeachment and a mass firing ...we don't stand a chance." The counter narrative come from the May 13th episode of All In with Chris Hayes. Despite the hyperbole from Mr. Beck, the scandal involves incompetence and insubordination, but not much in the way of conspiracy to the White House. If it turns out that someone in the White House issued orders to target conservative groups, then that would lead to Congressional inquiries. Dishonest Beck is in no position to lead the effort, that much is clear.